Motorola will be launching its Moto G7 series of smartphones on February 7 and all its prices might have already been leaked online. Motorola is expected to release its upcoming Moto G7 lineup of smartphones on February 7 in Brazil. 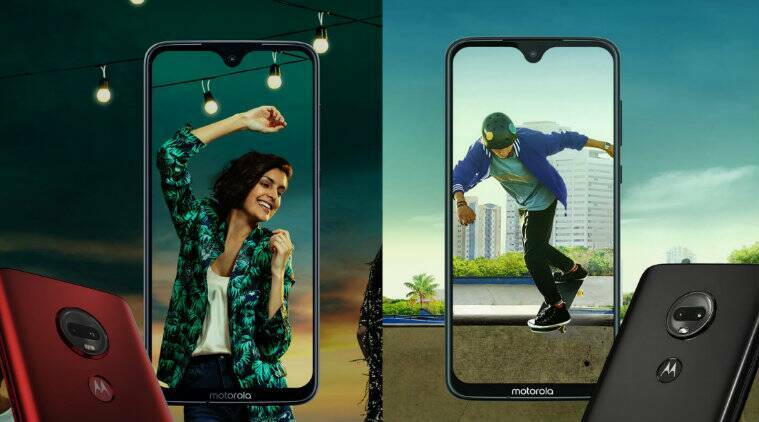 The company is expected to launch four smartphones under its Moto G7 series dubbed Moto G7, Moto G7 Play, Moto G7 Plus and Moto G7 Power. The prices of Moto G7 and Moto G7 Plus have supposedly been leaked by the tipster Ishan Agarwal on Twitter. According to the tweet, the Moto G7 will be priced at 300 Euros, which roughly translates to Rs 24,395. Whereas, the Moto G7 Plus will be made available at 360 Euros (approximately Rs 29,274). The same tipster earlier stated that the Moto G7 Play will be priced at 149 Euros (approximately Rs 12,112), making it the cheapest device under the Moto G7 series. Lastly, the Moto G7 Power will be priced at 209 Euros (approximately Rs 16,990). According to earlier reports, Moto G7 will sport a 6.24-inch full HD+ display with a resolution of 2270 x 1080 pixels. It will be powered by the Qualcomm Snapdragon 632 processor paired with an Adreno 506 GPU. The device will come with 4GB of RAM along with 64GB of internal storage. It will run Google’s Android 9.0 Pie operating system and will be backed by a 3,000mAh non-removable battery. It will sport a dual camera sensor on the back consisting of a 12MP primary sensor paired with a 5MP secondary sensor. On the front, it will feature a 8MP sensor for taking selfies. Moto G7 Plus just like the Moto G7 will also sport a similar 6.24-inch display with a resolution of 2270 x 1080 pixels. The device will be powered by Qualcomm’s Snapdragon 636 processor paired with an Adreno 509 GPU. It is suggested that the device will come with 4GB of RAM along with 64GB of internal storage, however, the company might launch a variant with more RAM and storage. The device will run Google’s Android 9.0 Pie operating system and will be backed by a 3,000mAh battery. It will sport a dual camera sensor on the back consisting of a 16MP primary sensor paired with a 5MP secondary sensor. On the front, it will feature a 12MP sensor for taking selfies.